The day after our stressful drive thorough the Serbian hinterland, we took it quite easy and drove down the Pelješac peninsula to visit Croatian wine country. The peninsula is just as stunning as the rest of Dalmatia. 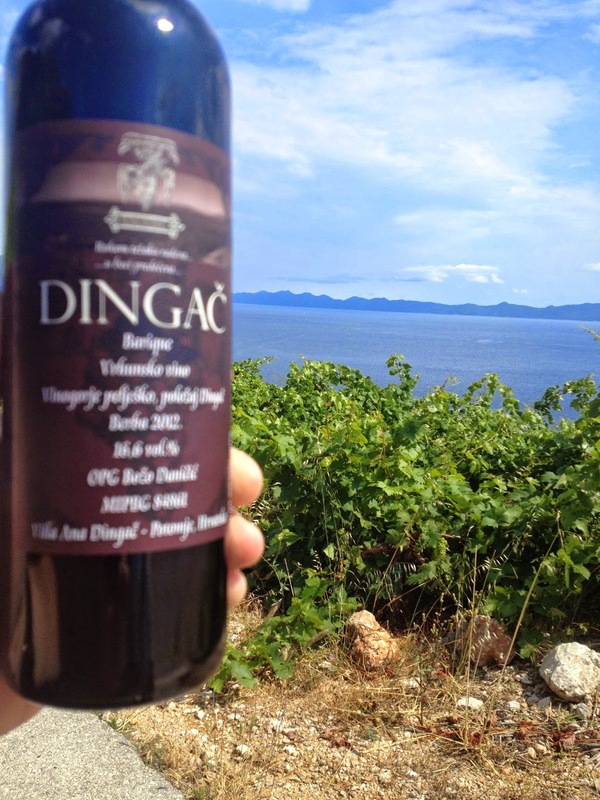 Our primary destination was the teensy tiny town of Dingač, which was where UC Davis researchers finally isolated the origin of California's Zinfandel to be a single vine of Crljenak Kaštelanski. Since then, they determined that a different clone to both California's Zin and Italy's Primativo (itself a different clone with the same parents) to be a widely grown grape called Tribidrag - but this time I was looking for some Zin. 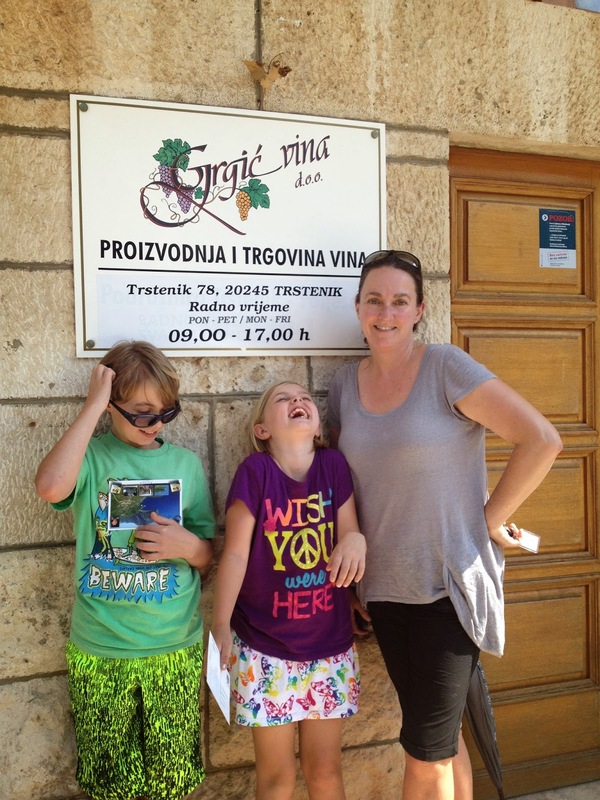 Croatia has a long history of wine - and I do have to say that most of the wine we had in Croatia was not the best. It's cheap, over sulfited plonk. There were a few exceptions - all of which were Plavac Mali from Dingač; so even if I could not find good Zin; at least we could get good wine. The drive was freaking spectacular - culminating in a one lane tunnel through a mountain, followed by a hair raising series of hair pin turns down the side of a mountain to the little village of Dingač. And I do mean little. If a hundred people live here I would be surprised. We were not disappointed. The best wine we tasted in Croatia was in this woman's garage, perched on the side of a mountain overlooking the Adriatic. 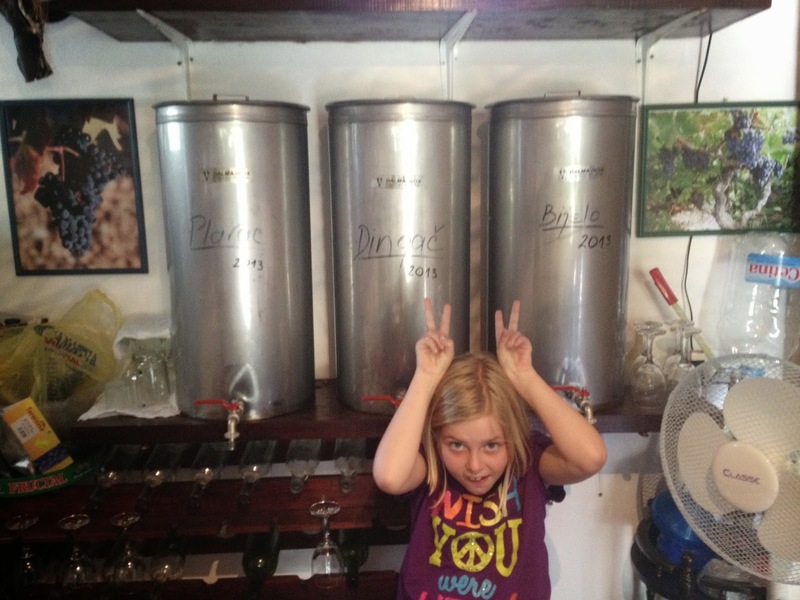 The Vintner's name was "Racichc"
After leaving Dingač we stopped at Mike Grgich's local winery to see how the world famous victor of the "Judgement of Paris" made this local grape. I think that Racichc's was better. On the way back - we stopped at the walled city of Ston. And I would highly recommend it to any visitor of Croatia - Especially fans of the TV version of "Game Of Thrones"